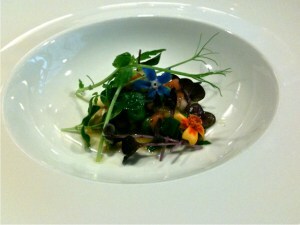 A Few of Our Top Gastronomic Experiences of 2010! To ring in the New Year with friends and family, we’d like to bring you our Top 10 Gastronomic experiences of 2010!! As our lives revolve around food and wine, we love to look back and reminisce on those moments that truly effected our lives. These experiences are in no particular order, and only some of them have been covered on Catavino; however, we’d love to share some of our experiences and ask all of you to share a few of yours in the comments below. Note: Please make sure to click on the title of each experience to learn more. Innovation and experimentation are traits we love! Red wine with scallops? Why not! Sweet wines with steak? Absolutely! Life doesn’t come with a manual; hence, there’s no one right way to enjoy your meal. And those chefs willing to push our culinary boundaries permit us to experience flavors, scents and textures we’ve never considered before; whereby broadening our sense of possibilities. For us, Cinc Sentits gave us this sensual adventure. Dining with a group of bloggers on a cold winter’s evening at the beginning of the year, we were treated to a unique tasting menu, but dishes such as a small glass shooter filled with maple syrup, chilled cream, cava sabayon and rock salt, were true highlights. The presentation alone was pure art, and the flavor made our knees buckle as our pens flew off the page recording our bliss. 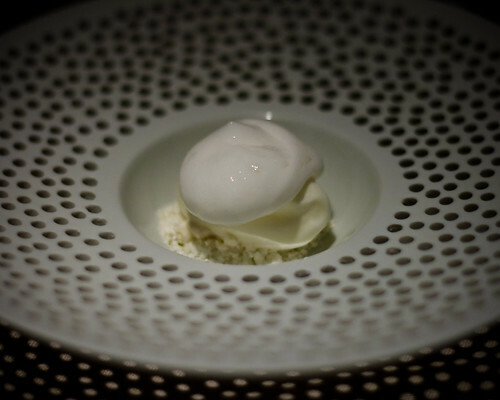 This was one of many sensational dishes including a dazzling lemon ice cream with lime rocks and yuzu foam. Cinc Sentits was most definitely a highlight of the year, and though the entire menu didn’t blow us away, there were several that are still dancing on our palates ever since. Sweet wines are an integral part of Spain’s international fame as a quality wine producing country. With distinct styles such as Pedro Ximenez Sherry, Vermouth and Mistella, there are oodles of fun sweet wines to savor after a delectable meal. However, a personal favorite this year was the Bac de les Ginesteres by Vinyes dels Aspres, a ranci styled wine that literally made our jaws drop in awe. Panses literally translates to “raisins” in Catalan, which is exactly what you taste when you sip upon the Bac de les Ginesteres. The grapes are handpicked and then dried by the blustery Tramuntana wind for a total of 54 days; whereby allowing the flavor to concentrate in each and every grape. Afterward, the grapes are pressed and then fermented in stainless steel tanks before they are transferred into 20 liters glass demijohns where they sit along the second story ridge for 54 months, gaining a killer suntan. As you can see from the picture above, this is not a gentle process. No, this is the true definition of “tough love” and is part of a style of wines called “Ranci”. When judging the DO Catalunya Blog Awards, the judges met at a small swanky little restaurant in the heart of Barcelona, called Restaurant Llucanes. It had been on Gabriella’s list of “must visits” for months; however, the timing couldn’t have been more inappropriate. As a result of a food cleanse, she could only dine on vegetables and rice – a rather challenging request of any chef who had already laid out a 5 course meal chockfull of juicy meat dishes and savory desserts. Alas, with many apologies for the inconvenience, the chefs threw down with an incredible display of dishes adorned with edible flowers, al dente vegetables and a cornucopia of fruit that made even the carnivores savor in delight. As Spain is known for gorgeous cured meats, rather than its vegetarian options, this was a restaurant that gained incredible points from Gabriella, not only in their impeccable service and food preparation, but also for their wine menu. Definitely worthy of checking out if you’re in Barcelona. As some of you know, we hosted the European Wine Bloggers Conference in Vienna this past October, which was a blast; however, one of the most incredible experiences we had prior to the event itself was dining at the Oesterreicherim Mak and being introduced to a very misunderstood and under-appreciated grape, Blaufrankisch. Blaufrankisch is the prominent red wine variety of the Austrian wine region, Mittelburgunland, which typically expresses forest fruit, cherry, herbal spices, bright acidity and good aging potential. This grape was a huge eye-opener for us, not only coming from Iberia, renowned for its big powerful reds, but also because we had type-casted Austria as solely a quality white wine producing country. Little did we know that its reds are absolutely worthy of exploring, especially when paired with hearty Austrian soups, roasted meats and belly-warming weinerschnitzels! Come April, Ryan and I stepped on Italian soil for the very first time, an death-defying experience if you’ve ever driven on Italian highways at speeds reserved for the Indy 500. Speaking at the Perugia International Journalism Festival, our hearts were stolen, not by the gorgeous food of the region of Umbria, but by a loving and magical Italian grandmother. With a mix of Spanish and English, as our Italian was minimal, we fumbled across our words and gestures over a buffet dinner to simply communicate our pleasure for meeting one another. Awkward? Yes! But her warmth couldn’t be avoided, and she made our meal come alive with her random fits of laughter. However, it wasn’t until the following day, when entering the Melchiorri olive oil house that we unexpectedly, met again. 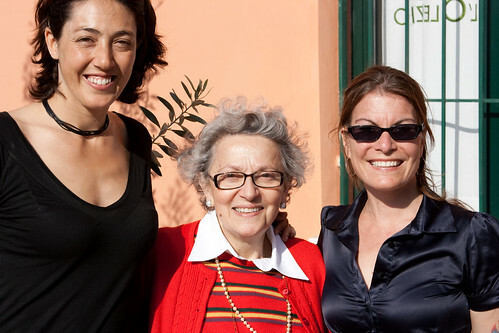 With a smile broad enough to melt the most stoic hearts, she shared the story of her life, her olive oils and her passion for food and family. One can’t forget experiences like these, as they truly make our job and our lives truly worth living! Plus, the olive oil was absolutely stunning, which made for an even greater culinary moment! Sharing our gastronomic favorites with friends and family is truly what makes our desire to explore the world through our palates an enjoyable one. What’s the poimnt of falling in love with a dish, an ingredient, a grape or a culture if you can’t turn to your loved ones and say, “You have got to try this!”? It’s the spice of life, and to share one of our personal favorite treats, Portuguese fish, with Ryan’s parents made 2010 a phenomenal one. Sitting in a dark, wood paneled restaurant by the ocean as a perfectly grilled white fish is laid infront of you, the juicy meat glistening in the afternoon light, is delectable, and when paired with a delicious Vinho Verde or Arinto, life doesn’t get much better. Cabo da Roca is in easy driving distance from Lisbon, and should be a definite “must visit” for anyone who loves simple food served to perfection. After attending the 2010 Wine Bloggers Conference in Walla Walla, Washington, at the end of June, we had a few days to chill in Seattle with Gabriella’s aunt and uncle. Desiring an adventurous foodie dinner on a warm summer’s evening, we headed to Pikes Place Market where we scoured up gorgeous purple asparagus and huge scallops for the grill, followed by a light saute of garlic spears, cherry tomatoes and sweet peas. It was one of those few experiences that you look at your family and thank the heavens that they love food and wine as much as you do. Fungi, one of our favorite gifts from Mother Earth. Meaty, hearty and delectable, there are few things in life that equal their perfection, especially in Catalunya. Hostel de Montanya, located an hour north of Barcelona is equally infatuated with mushrooms, and come Rovellones season, they feature huge plates of gorgeous golden orbes of meaty Rovellones sauteed in olive oil and garnished in garlic. If you love mushrooms, and you adore fresh ingredients served with minimal preparation, this is worthy of visit. Located high in the Pyrenees, there is no better place to combine stunning scenery, quality food and great house wine. We are very happy to announce that Haute Dish ended our year with a bang. Located in Minneapolis and named after the Midwestern “hot dish” (also known as hot pot or casserole), Haute Dish has taken creative license to transform traditional dishes such as tuna casserole into a foodie’s dream dinner with perfectly seared tuna over a spicy wasabi sauce accompanied with potato chips and al dente pasta; or the steak and eggs, consisting of steak tartar, egg served in a toasted brioche bread (or similar sweet bread) and an exotic bloody mary shooter. Having savored 10 different dishes, we can wholeheartedly say that this restaurant effectively turned banal cuisine into something stunning! What was your foodie highlight of 2010? !